Does the idea of becoming a hotel inspector appeal to you? Learn more about the career and decide if entering the field is a good career option for you. If you live in the United Kingdom, the term hotel inspector conjures images of a popular television documentary show that follows hotel professionals who help struggling hotel owners by offering guidance and advice. Like other television programs that inspire people to explore employment options, such as crime scene investigators, The Hotel Inspector television show has prompted many viewers to look into the industry. Consulting aside, a real-world job as a hotel inspector might entail supervising employees and making sure everything at the facility is up to par. 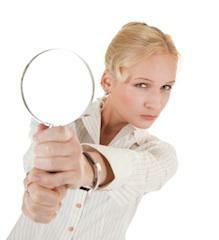 Whether you want to become an inspector or not may depend on the type of inspecting you want to do and where you live. In the United States, for example, inspector careers are piecemeal. You are not likely to find a job in the U.S. that involves evaluating a hotel from top to bottom as depicted in the British television series. Jobs as inspectors for hotels typically require a lot of experience and are very difficult to obtain because so few positions are available. The USA Today article, Top Travel Jobs, looks at Trent Walsh, a hotel inspector who stays in hotels with luxury accommodations at no cost, and charges the owners for his feedback. He is the managing director of a London-based company, Leading Quality Assurance. The main focus of the job is on service, and professionals like Walsh have great attention to detail as well as a keen sense for the ideal standard. Is it likely that the average person will land a job at Leading Quality Assurance? It's not likely at all. The small company employs 13 inspectors, aside from Trent Walsh. The notion of sending anonymous guests to establishments to scrutinize the service, cleanliness, and atmosphere is often referred to as mystery shopping or secret shopping. Owners of restaurants and hotels often hire firms to send anonymous guests into their businesses and share details about their experience. A secret shopper visits quietly, and just as quietly, gives feedback. Companies that provide these types of inspections services typically work with independent contractors who receive free hotel stays, meals and a small honorarium in exchange for their feedback. The chances of finding steady work performing this type of work are slim, but it can be an enjoyable way to earn extra income and free hotel stays. The American Automobile Association is a surprising resource for potential hotel inspection employment. One avenue you may want to explore is AAA Diamond Rating Process. The company hires people to evaluate hotels to find which are up to Five Diamond standards. Finding a travel job at AAA may be the first step in earning a career inspecting hotels. Becoming a hotel inspector is a lofty aspiration that can be difficult to land without considerable experience in the industry. The position requires experience in the service industry, discerning tastes, and excellent communication skills. Professionals like Trent Walsh prepare detailed reports that can be hundreds of pages long and include photos as well as narratives.Working in a management position in which evaluation is integral to the job can be the start you want. In time, you may earn the skills and develop the insight necessary to offer feedback to hotel owners and managers. Is the job realistic for the average person seeking employment? While the job is quite appealing, it would require considerable experience in the hotel industry to land a position as a consultant in this manner. If you are a seasoned veteran in the industry, becoming a hotel inspector may be realistic, and it may be a great choice for retirees with a lifetime of experience.